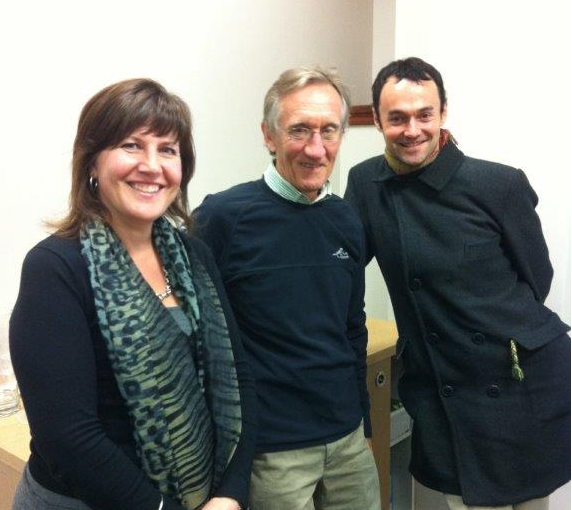 Tim Jenkin South African writer, former political prisoner and prison escapee, currency activist and social entrepreneur (pictured middle) visiting with NSW Volunteering. In 2003, Tim founded the global Community Exchange System, an internet-based trading network, which allows participants to buy and sell goods and services without using a national currency. Our Australian Timebanking software has been developed in partnership with CES. In 2007, Tim was elected a fellow of the global Ashoka Foundation, a leading social entrepreneur movement. Tim is on an Australian speaking tour (click here for more details) discussing his experience as a political prisoner of the apartheid regime in South Africa and his subsequent escape from prison, and what these experiences taught him about social entrepreneurship.